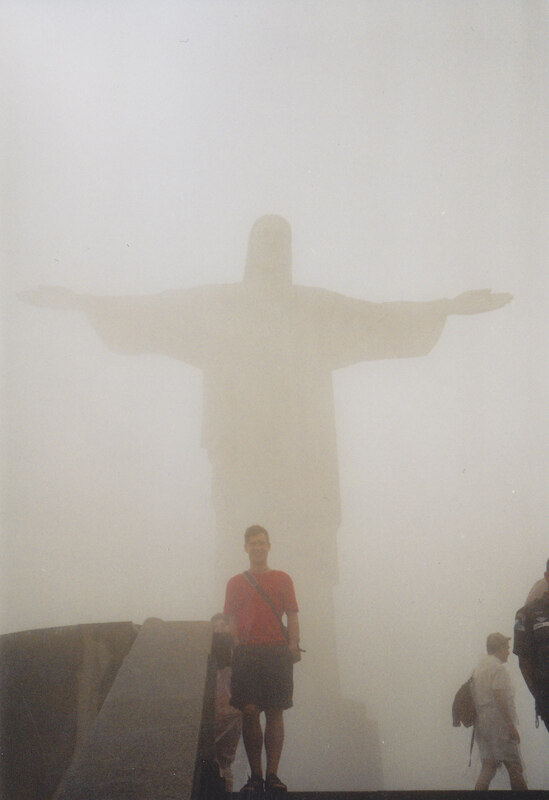 In 2004 I went to Brasil and Argentina for 2 months to see, for first time, what South America had to offer. 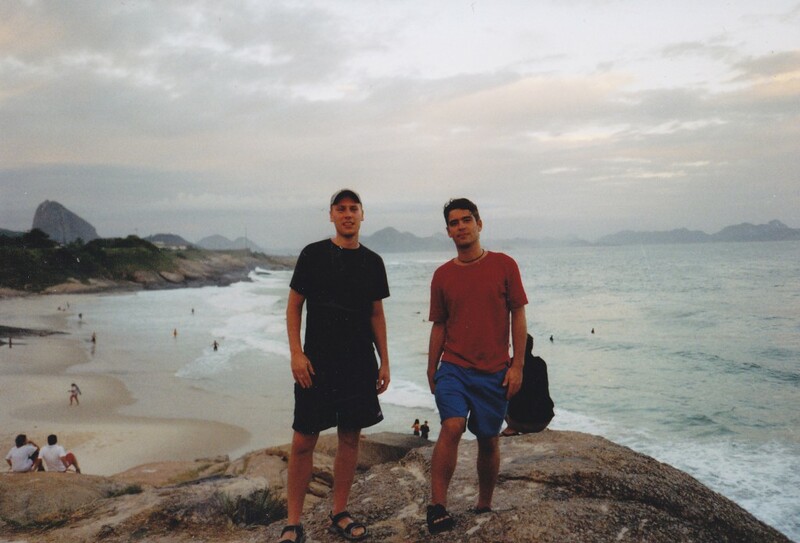 We were planning to see the carnival in Rio, travel to Manaus to spend a few days in Amazonas, and we were also dreaming about travelling to Foz Du Iguazu waterfalls, and do some Island hopping at the north coast before going to Argentina. Now Brazil is a huge country and travelling between the big attractions and crossing jungle means long bus trips, flights and bit of planning before its possible. 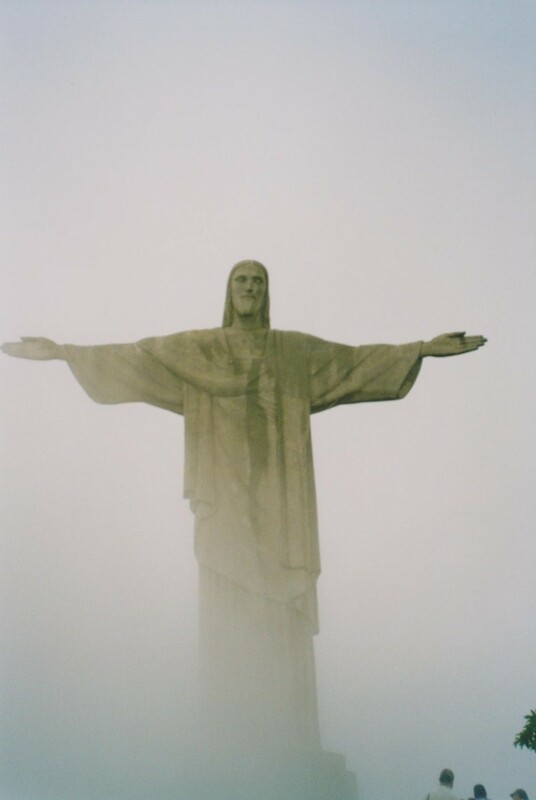 Luckly Brazil has so much to offer so there is many things to see between the big hitters. Eating with Peter Peter and George and his family wife and daughter. 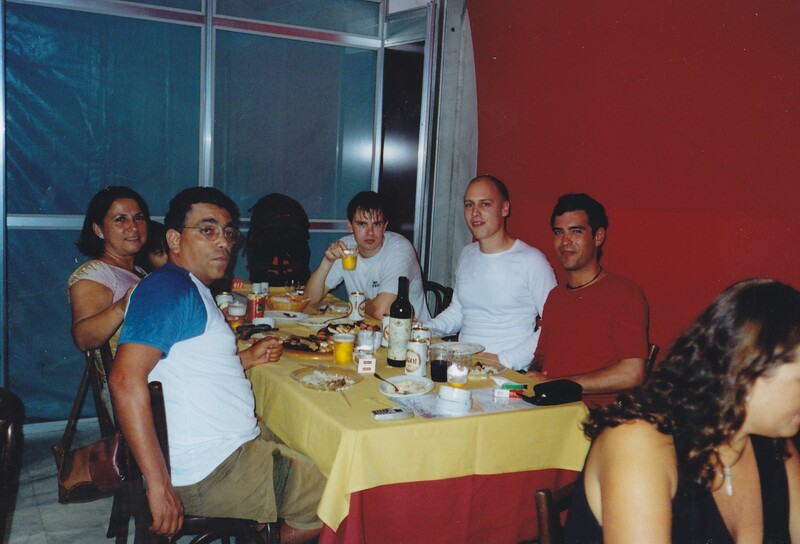 We met Jorge at Copacabana and he invited us out to many different local events and booked our trips around Brazil. Maracana stadium in Rio. 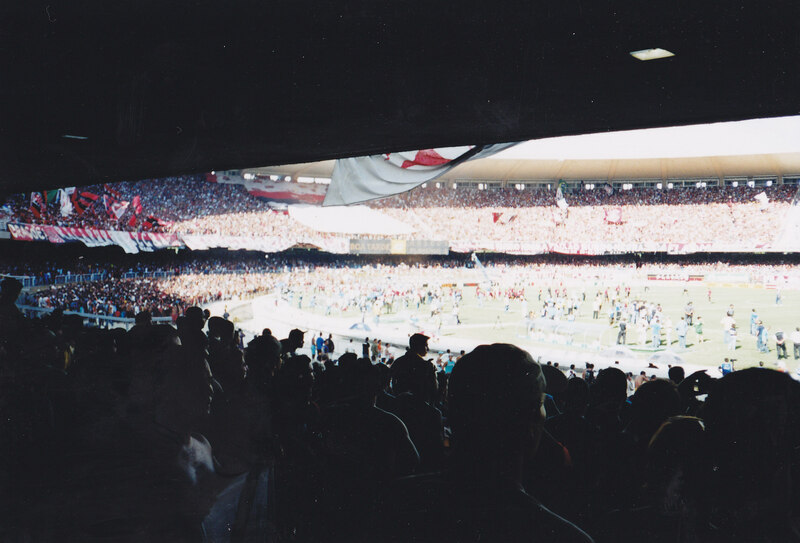 The world biggest stadium in the 90s. Now capacity is ‘only’ 95.000. Football is so much cheaper to watch live in Brazil then Denmark. Its only about 3 USD for a ticket. Homeless street kid in Rio. Always happy and willing to pose in front of camera. 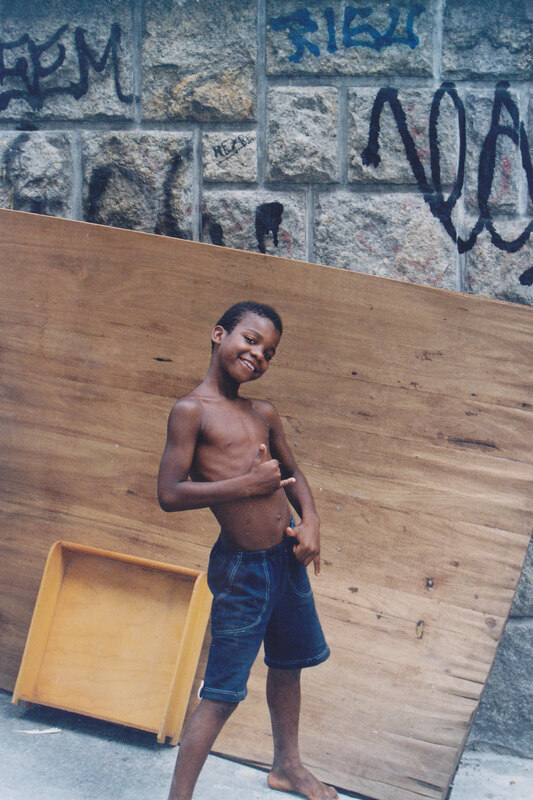 Normally kids on the street is a huge problem and they come from the favelas around Rio. 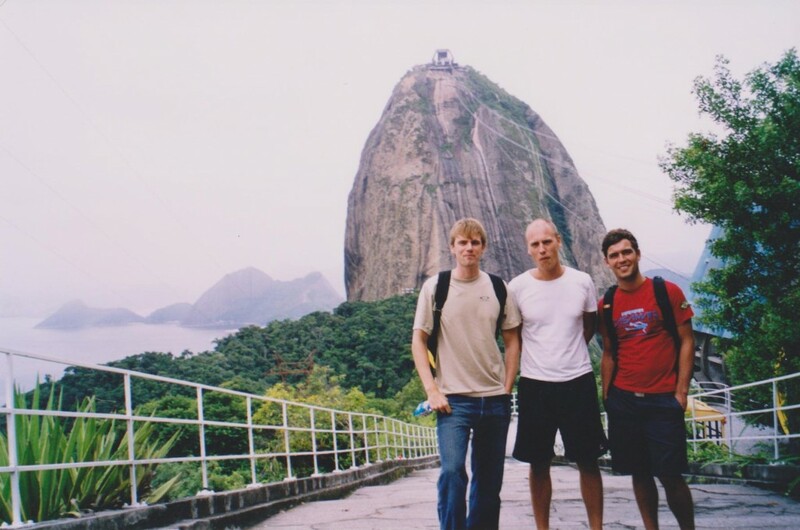 Peter at Cristo Redentor in Rio. Always a bit cloudy. The view from the monument is amazing. 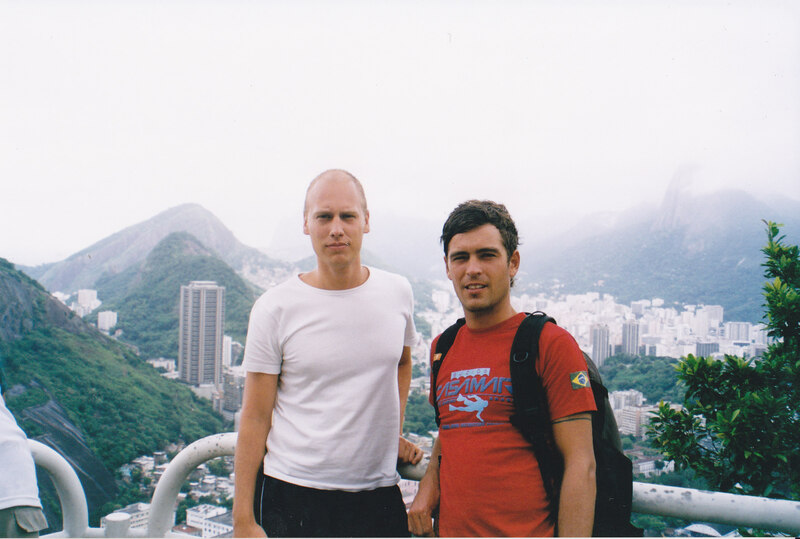 You are able to see everything in Rio from this view point. Paragliders, sugar loaf, horse race track, Maracana, and all the favelas. Ipanema beach in Rio. The entire beach of Rio is Copacabana, then Ipanema and Leblon in the end. 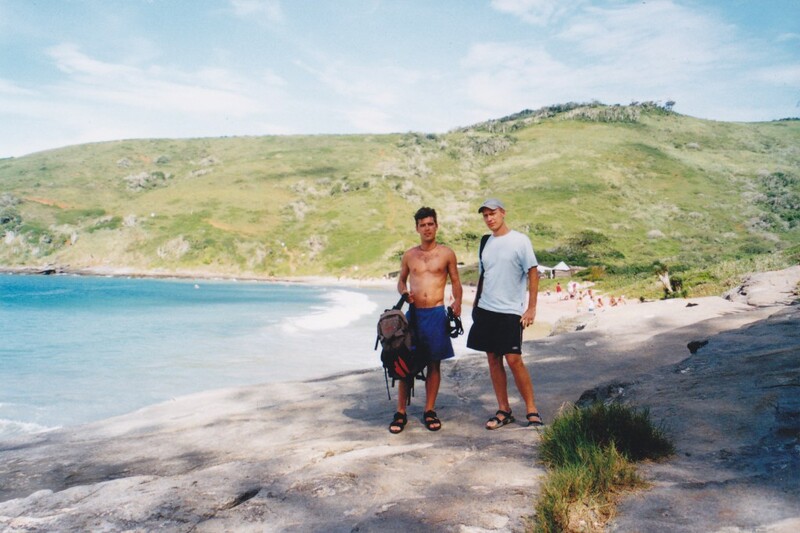 Copacabana is the relaxed beach for surfers and poeple how come to get sun tanned and work out. Ipanema is the more fashionable beach for people with money that come to enjoy restaurants and be seen by other people. Leblon is the dodgy end with crime at night and police patroling the streets. Ipanema beach at sun set. The beach became famous when the song Girl from Ipanema was written by Antonio Carlos Jobim. 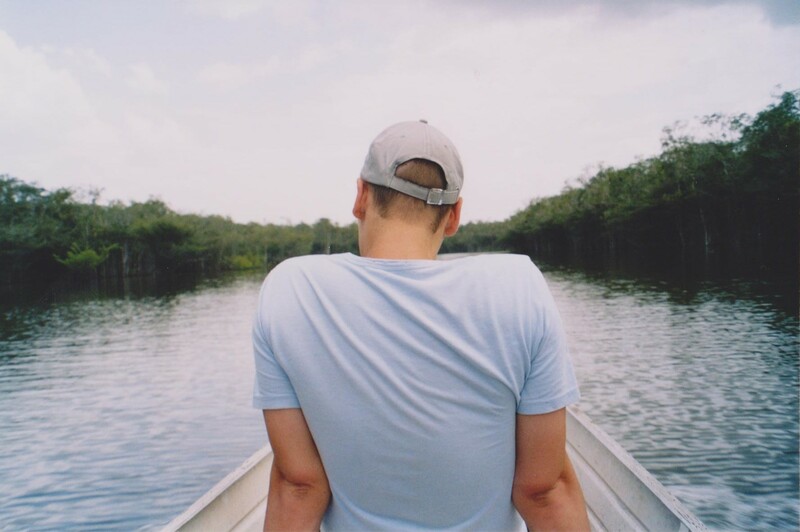 Peter in the front of the boat on our way to the camp in the middle of Amazonas. 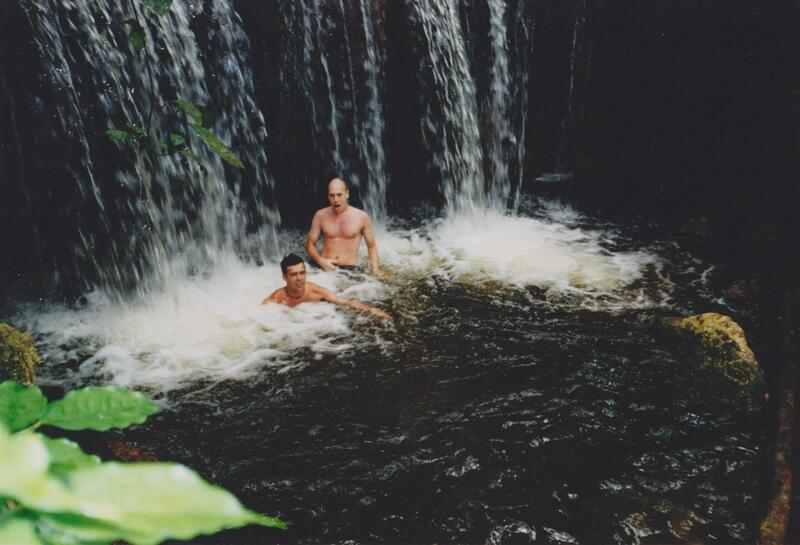 The jungle of Amazonas is very humit and hot so we were desperatly looking for a place we could swim and cool down for a while. The trip it self from Manaus began with 4 hours in car and then some waiting before getting on a boat through the jungle for 2 hours before we reached our camp in the middle of the Amazonas. 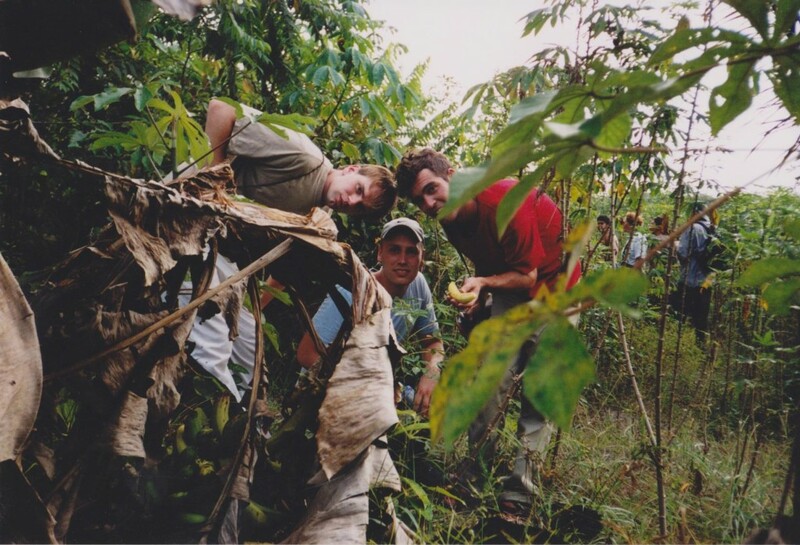 All three gringos in the Amazonas. Our guide showed us for 3 days walk in the jungle how extrodinary the Amazonas really are. We saw rubber plants, tobacco plants, plants used for limstick and makeup, and paper plants and 1000 other spicies of plants growing side by side in the jubgle. Showering underneath a waterfall. It was very cold but refreshing after a day of walking in the jungle. 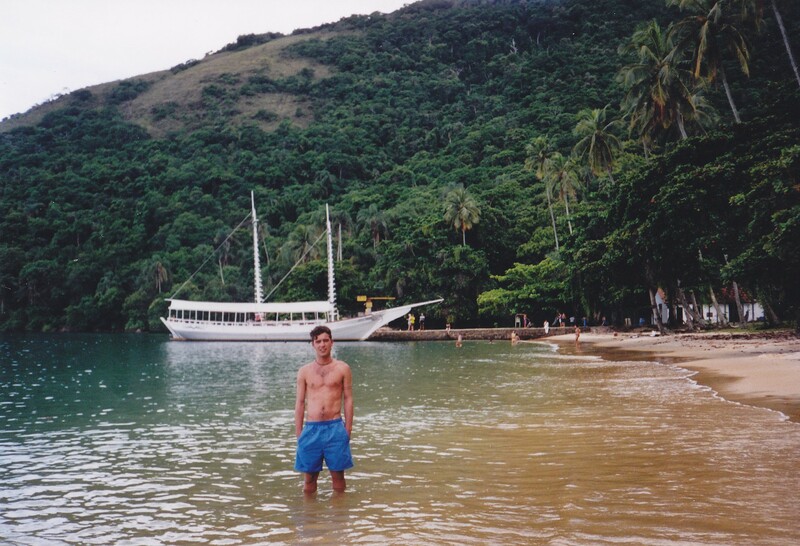 Buzios a place south of Rio with 45 beaches and Islands. Fantastic place to relax after the carnival. 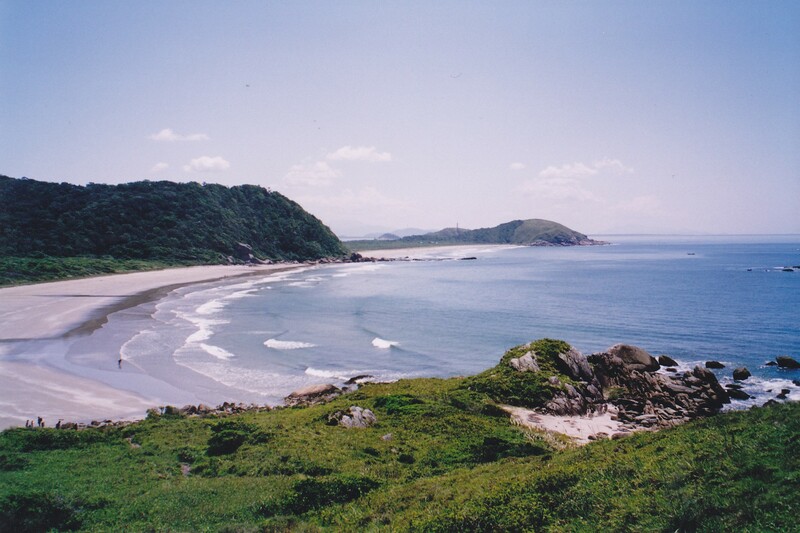 Ilha Du Mel. After the Carnival and after visiting Manaus, Buzios, Rio we went down the coast to visit the big waterfall called Foz Du Iguazu. On our way we stopped to relax and enjoy the beach life at Ilha Du mel which offers many different beaches in different settings. The beach above was pretty remote and we had most of it to our self. 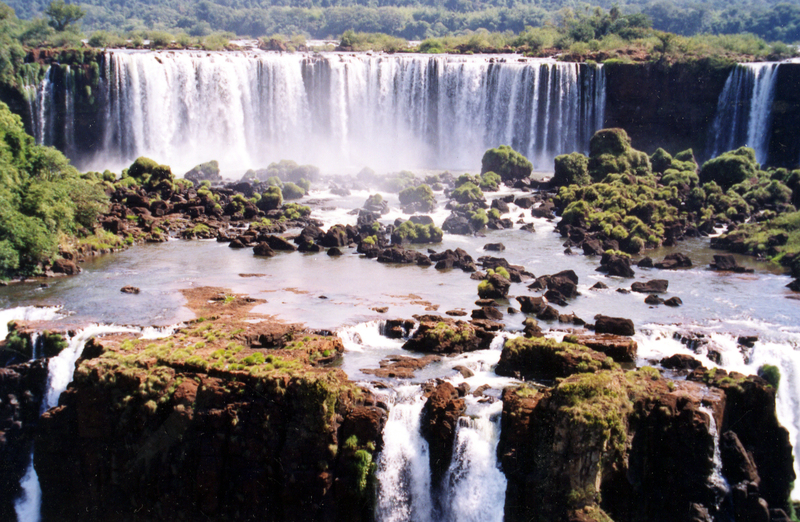 Foz Du Iguazu water fall 275 drops on the boarder of Brazil, Argentina and Paraguay. 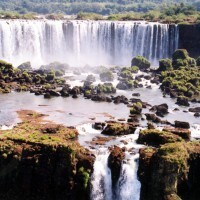 Postcard view from the Brazilian side, from Argentina you get up close to the water falls. You can actualy stand above the fall and look down to the bottom of the fall. 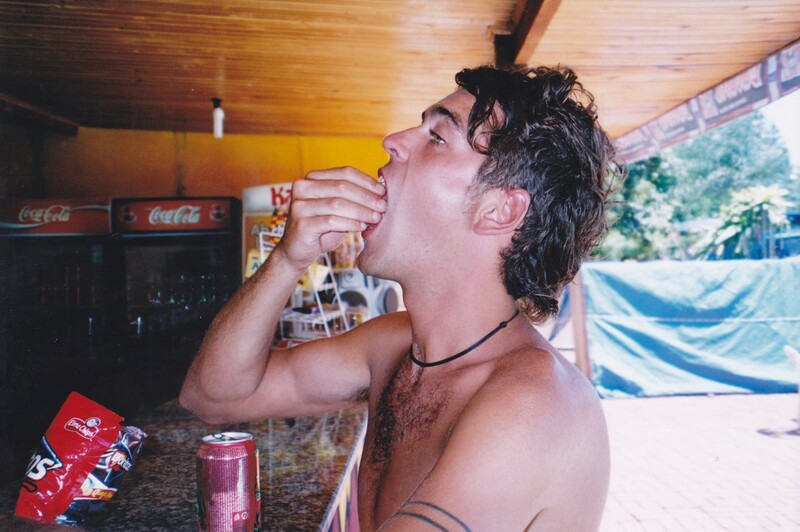 Peter at hotel room in Manaus. Actually a pretty cool picture. 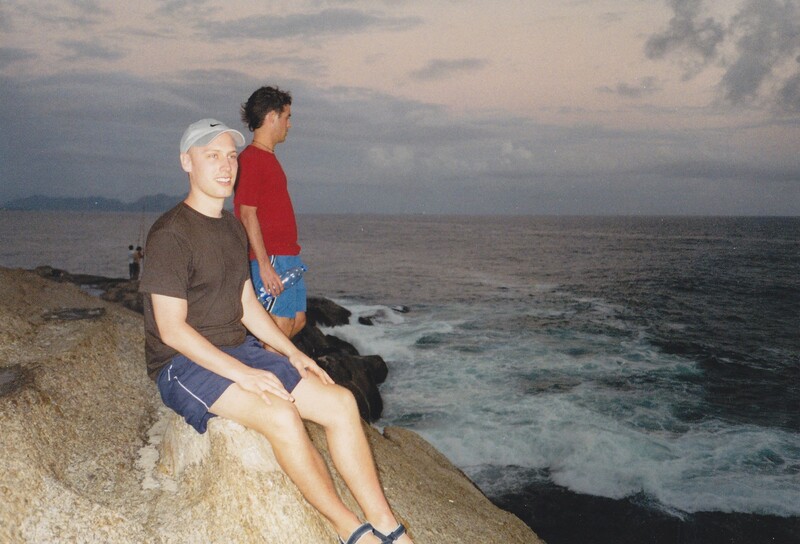 Ah yes, the search for a Chauriscaria near Foz du Iguazu with you, Pete and a Frenchman.